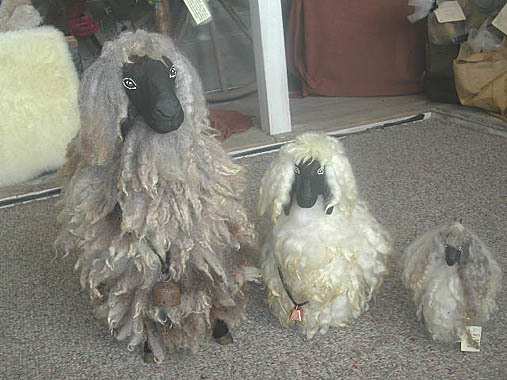 Made from New Zealand shorn wools, the goats represent the Angora goat, the animal that produces the exquisite natural fiber we know as "mohair". These animals are made with wooden bodies and resin heads from an original hand carved piece. They come in three sizes and three color choices.